A drug offender who was caught with just 0.01grammes of cannabis probably valued at less than 50p has been ordered to pay over £300 in a fine, costs and charges. 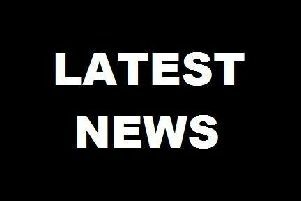 Chesterfield magistrates’ court heard on Friday, July 1, how Ryan Samuel Wilson, 22, of West End, Wirksworth, was stopped by police in his car on Bakewell Road, outside Matlock, when they discovered the small amount of drugs. Prosecuting solicitor Ian Shaw said: “The police saw the vehicle the defendant was in and it was stopped and a very small amount of cannabis was recovered. Wilson, who has previous convictions including possessing class B drugs with intent to supply, pleaded guilty to possessing the class B drug cannabis after the incident in September. Mr Sowter added that Wilson is a changed man with a newly-born daughter and has a full-time job as a delivery driver and also works as a volunteer driver for the British Arts Foundation. Magistrates fined Wilson £197 and ordered him to pay £85 costs and a £20 victim surcharge.